We got up morning at around 08:00 AM. We slept very well and were fresh. Complimentary breakfast was on the 2nd floor. So we went down to get pampered to an assortment of delicacies - orange juice, fruits, eggs, croissants, bread-butter and so on. We went out for a casual stroll. The weather hadn't improved and the drizzle was continuing. 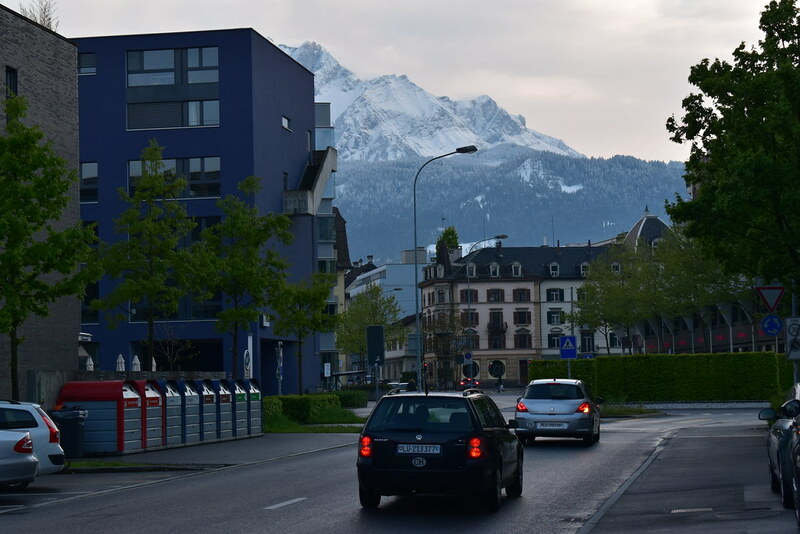 Took some pictures and then we were all set to bid good-bye to Chur. While going back I took a few picutes. 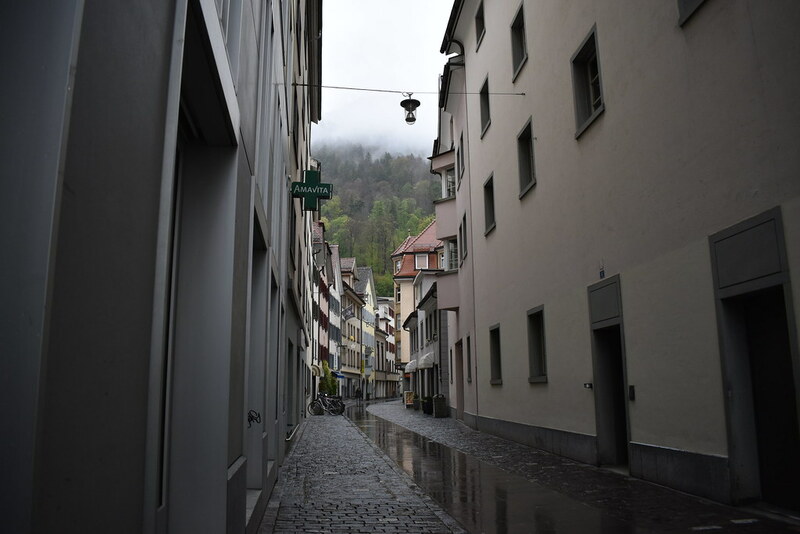 The narrow lanes of Chur are very romantic. This place is indeed a photographer's paradise. We went to a Mc-Donald's here and had delicious sandwiches. We were all set to board train to Lucerne now. 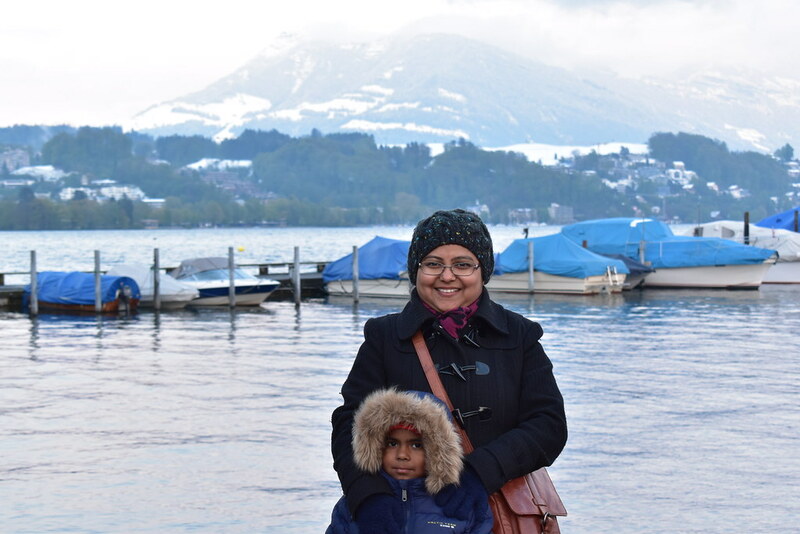 The ticket counter was easy to locate and we took 2 tickets to Lucerne - Romir's ticket was waived off... as he is yet to turn 6. So finally we were nestled inside the train. There weren't many people; seats were empty. 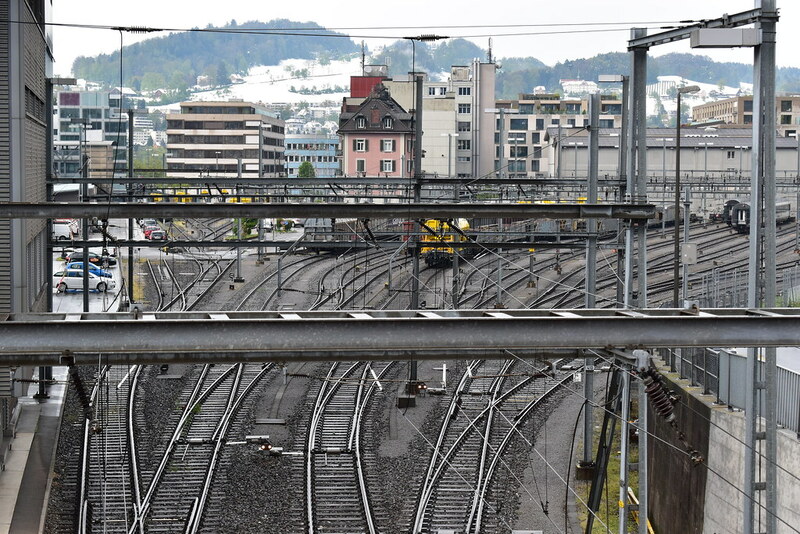 As the train chugged through towards Lucerne - we didn't get any out-of-the-ordinary view from the window. 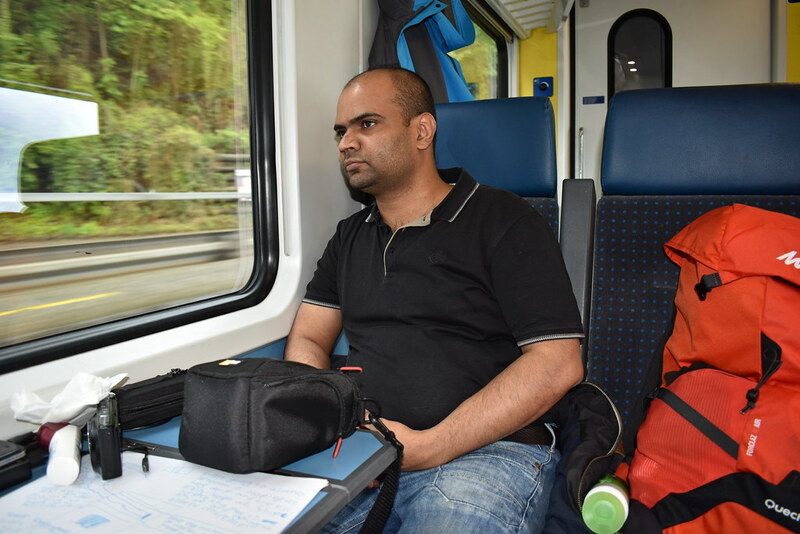 The part of the journey form Tirano to Chur was indeed very beautiful. Nevertheless the views were not bad. 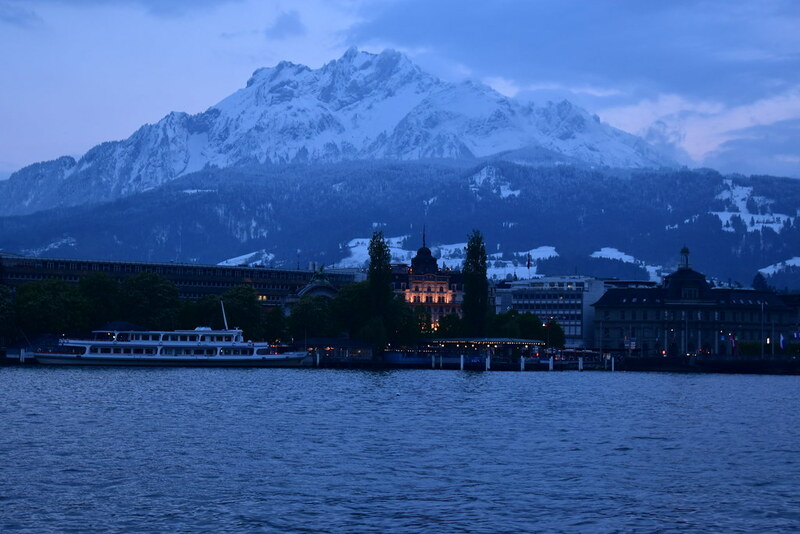 However everything changed as we reached Lucerne. We basked in her beauty from all sides. 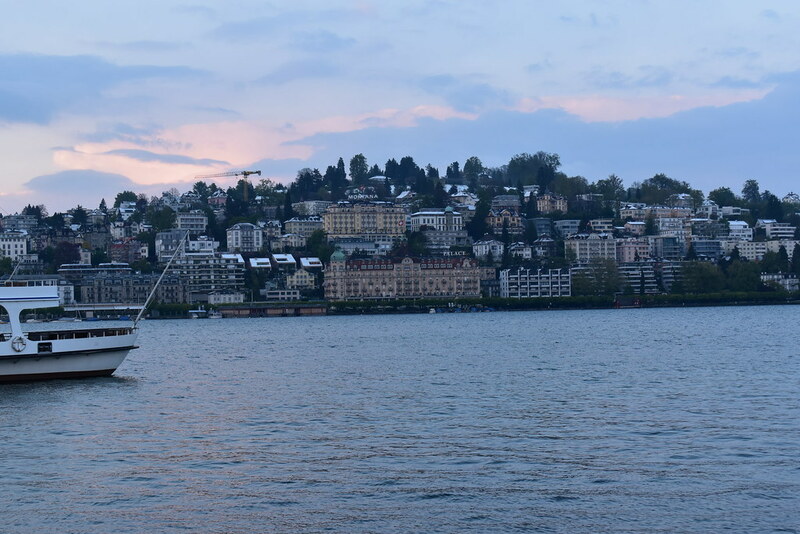 Particularly the Lake Lucerne which is serene, vast and stunning. 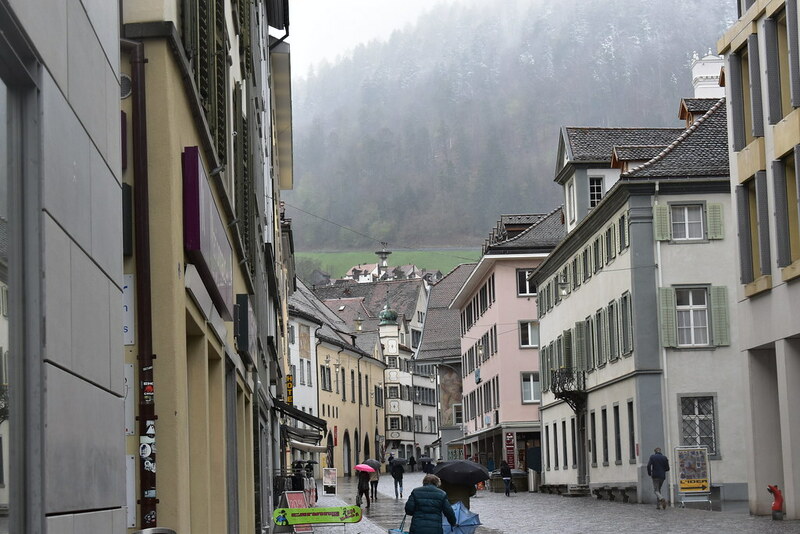 On reaching the Lucerne Station, first thing i discovered is that my Salt Sim was not working... No sooner had I entered Salt Customer Care Department than the phone started vibrating with messages and notifications. I was happy that the sim was working now and I could navigate my way to the Ibis Budget Hotel. But now we were hungry. Located a Pizza shop. Chose a chicken Pizza. And my God - was it delicious? You bet!!! If you are ever in Lucerne do try this Pizza from shop - don't remember the name now - but will add the name later. 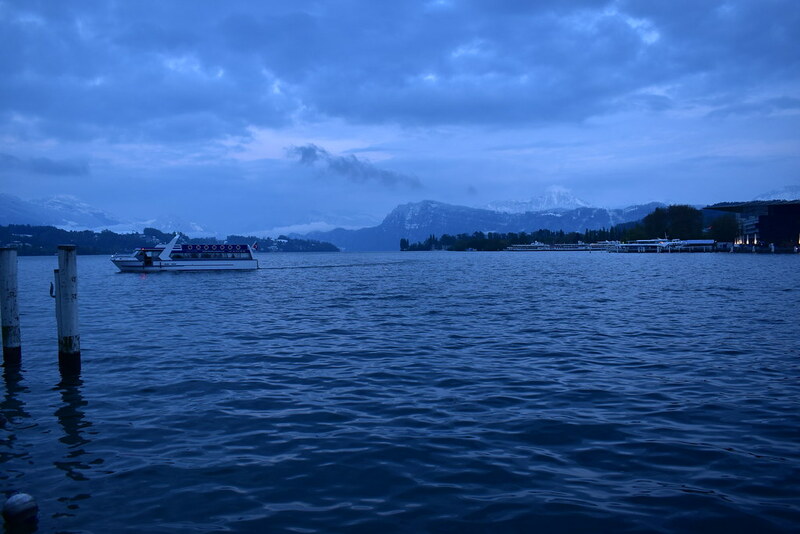 After reaching hotel, we took rest for an hour or so and then set forth towards the gorgeous Lucerne Lake. From here we went to an Indian Restaurant. Had a very satisfying dinner and then went back to our hotel. This was end of day 3 of our Italy-Swiss Trip.